and completion of Vee-groove for the guided bend test. 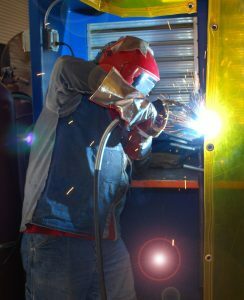 ability to pass an AWS Welder Qualification test in SMAW and FCAW. reflect company specified Welding Procedure Specifications (WPS). Procedure Specifications administered by an AWS CWI. defects and weld symbols and drawings.